A patent on the list of fun things to do in Assen, the Asser Bowling Centrum invites all looking for a great time. Two things, food and bowling will make sure you have an entertaining time here family and friends. The prices are exceptionally competitive and you can avail a satisfying meal in less than 10 Euros. There are various combo offers on food and bowling, like the all-inclusive package, leaving you spoilt for choice. The owner and the staff will tend to your needs well, ascertaining a great time. For these reasons and more, this place is also considered as one of the best things to do in Assen with kids. For more combos and menus refer to official website. School holidays daily from 12:00pm. How popular is Asser Bowling Center? 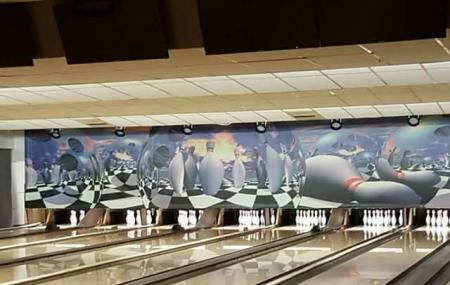 People normally club together Escape From Pirates Bay and Fundustry Assen while planning their visit to Asser Bowling Center. Bad experience, poor treatment from employees. Came for a vacation but was not satisfied with the rude attitude they served with.